Google dropped a new version of Gboard last night, which includes a number of cool improvements to search. 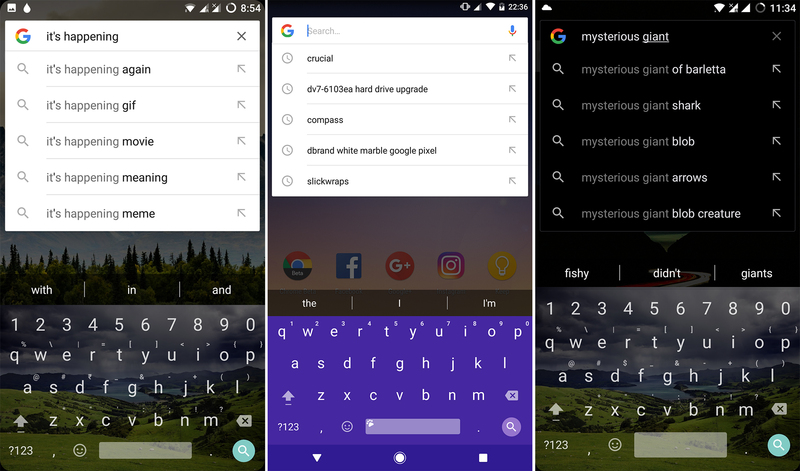 Some people are reporting another interesting feature in the form of Google search suggestions int he Google app and widget. Not everyone seems to have this, though. On older versions of Gboard, the keyboard's suggestion bar disappears when doing a search. That's still what it looks like for myself and most other AP staff after the update to v6.3. However, we've heard from a not insignificant number of people who are seeing the suggestion bar. This appears when searching via the Google widget and within the Google app. It seems to work just like the suggestion bar elsewhere. Start typing, and the keyboard guesses what word you might want to use next based on your typing history and the power of Google's prediction engine. Just grab the new version of Gboard and open a search to see if you've got it.